The grey-breasted parakeet (Pyrrhura griseipectus) is the most endangered parakeet in the Americas, considered Critically Endangered by IUCN. Less than 250 individuals exist in the wild. 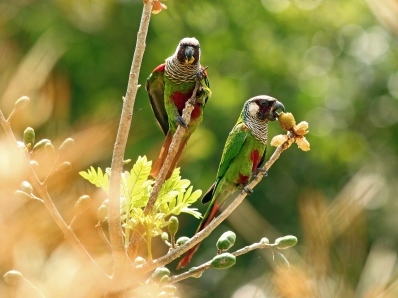 The grey-breasted parakeet used to occur in a large area in north east Brazil but due to habitat loss and the wildlife trade it is presently found in only two localities. This project aims to find new areas of occurrence in order to update our knowledge on the present range of the species. To achieve this, the team will survey three mountain ranges where there are evidences. This will allow us to devise proper conservation strategies for the Brazilian National Action Plan for the species.